Examination booklets have eight pages of blank paper for testing. Each page is wide-ruled with a margin. 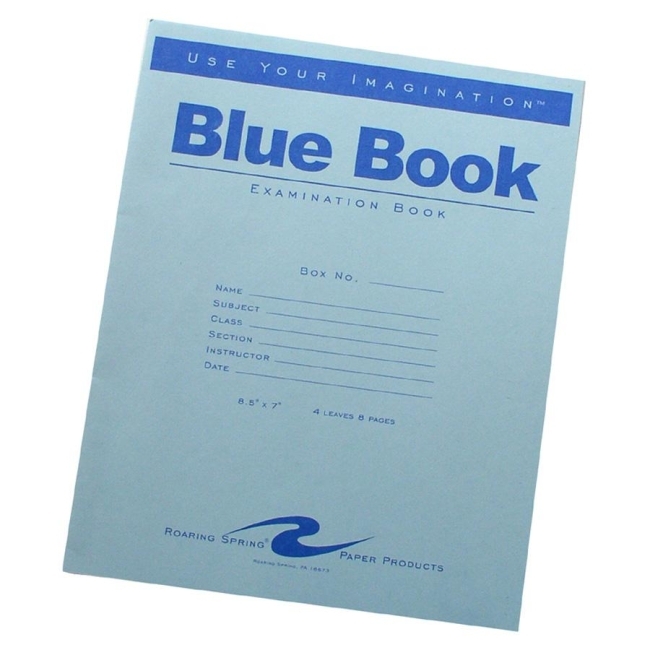 Cover is printed with areas for name, subject, class, section instructor and date.